SoapLab Malaysia: Is SoapLab Mica Colors Biodegradable? 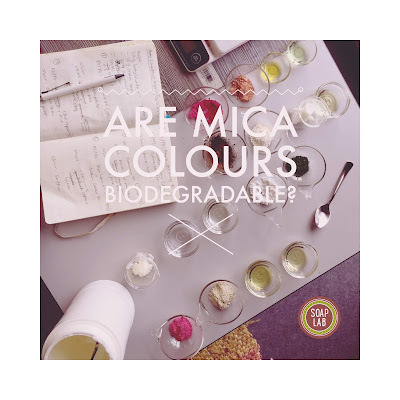 Is SoapLab Mica Colors Biodegradable? Hi good morning. Heres a question from our client about mica & pigment sold in SoapLab. To read more about it click here. As you know SoapLab has many colors and most of them comes from minerals and earth. If you are familiar with the term ‘mineral make up’; well these colors are used to do those. So because its from the nature itself; yes it is also biodegradable. Which means; its not going to hurt the ocean and earth. Unlike some of the other colors found; mineral mica’s are natural. If you are not using mica: you are using plastic colors. These colors and glitters are not natural: therefore its most of the time not biodegradable. It also means that when you use it; and it gets into the ocean; it will probably pollute the ocean and ‘injure’ the ocean’s life.